With all our admiration, we thank you Yolande Lapalice Daneau, Lucienne Campeau and Jeannine Blanchard to have created in 1991 a great organization is known as Rose-Art. During the beautiful and clement weather, you were there as gypsies with your easels on the ground of the church and presbytery. You had only a small removable trailer for exhibition hall and all of this during part of the beautiful season. Because of the determination in the world of art, Rose-Art now benefit of a nice place for diffusion of visual arts. Ville de Laval has provided a local to the organization. 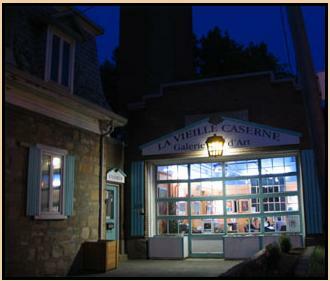 The well known "La Vieille Caserne" in the heart of old Ste-Rose. Welcome to the Corporation Rose-Art ! 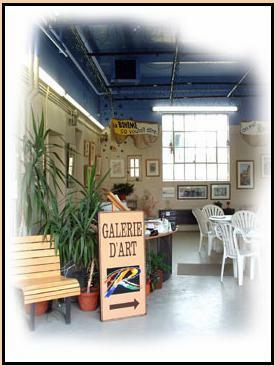 Situated at the 216 Ste-Rose Blvd, in the heart of the old Ste-Rose, the gallery is a place in spreading all tendances of different expressions in Visual Art. Seven (7) exhibitions are held during the year with themes determined by the gallery. Duration : 4 to 6 weeks per exhibition. 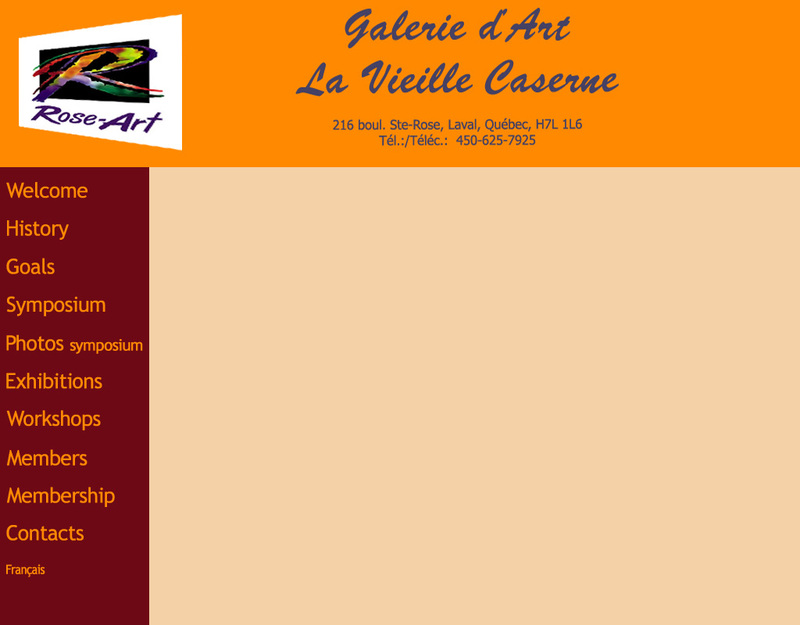 Plus : Exhibitions are offered for solo - duo - or group which are held above at the "Centre d'Art" - 214 Ste-Rose Blvd, right beside the gallery.